For men who shave even a small portion of their body, selecting a safety razor is a bold choice. The instrument is a bit of a throwback to the golden age of shaving. It can provide one of the closest shaves a man experiences. It can also be a bit of a challenge if you have never shaved with a safety razor. Safety razors were first invented in the 1880s. They work by inserting a device between the blade’s edge and the shaver’s skin. They were created to reduce the number of nicks and cuts – some serious – from using straight razors. They also gave men the opportunity to shave at home more often than going to the barber. 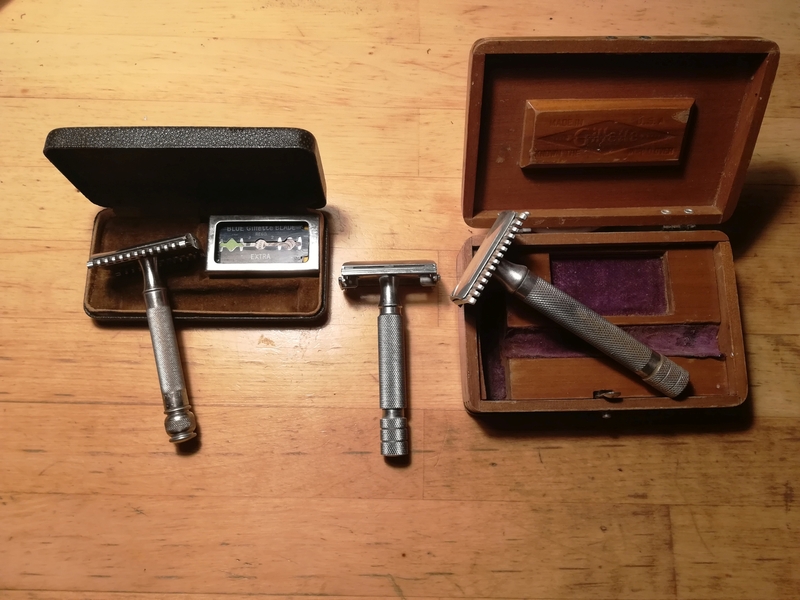 Time would eventually see the creation of disposable razors and replaceable cartridge razors, but the allure of the classic safety razor continues today. 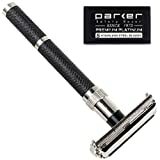 Today’s contemporaries include Parker Safety Razor, an India-based company producing a collection of high-quality safety razors, shaving products and accessories. Privately owned and in business for nearly 50 years, Parker produces a number of safety razors for both men and women. Parker extensively engineers and quality-tests each razor style, according to the company. What Makes the Parker Safety Razor Great? Within Parker’s varied collection the company offers two styles of double-edged safety razors: the butterfly-open and the three-piece. Butterfly-open razors have hinged plates that, when opened, look a bit like butterfly wings. They allow easy access to the blade. Shavers who use the three-piece razor like how it comes apart into three pieces for better cleaning. For the sake of this review, we will look at the Parker 96R, a butterfly-open safety razor and one of Parker’s most popular models. The 96R uses a twist-open design for ease of use. When you are ready to change blades, simply give the handle a twist and the butterfly doors swing open. Dump the old blades and replace them with new ones. The razor is a little over three inches in length, is well balanced and made from brass. It comes complete with five Shark Super Chrome razor blades. The more the blade is exposed, the more aggressive it is determined to be. A more aggressive razor requires more skill to operate and to avoid nicks and cuts. Overall, Parker Safety Razor instruments are made well and last a respectable length of time. Consumers report that after some time, however, the butterfly mechanism begins to fail and will start to open during shaving. Others report that it also does not fully close. Before purchasing, it is worth speaking with your retailer to see what it can do if that happens. Since they are sold in the U.S. through third-party online and brick-and-mortar retailers, it can take some work to find the right customer service representative to speak to if there is a problem. The Parker 96R Safety Razor costs about $30 which makes it a mid-range safety razor. Other brands can cost a little less or jump up in price to $70, even $100. For many regular shavers, that initial cost can be a deal breaker. What you need to consider, however, is the long-term ownership cost of a safety razor versus disposable or cartridge-blade razors. A standard cartridge-blade razor may cost no more than $10. Replacement cartridges, usually in sets of five or 10, can also run about $10 or more. If you use one cartridge a week over the course of the year, you may spend $50 to $100 in cartridges not including the initial cost of the razor. A safety razor may set you back $30 up front, but a box of 100 razor blades may only cost $15 to $20. Those blades could last up to two years even if you are switching out a blade very five shaves. When you add it all up, the safety razor provides an overall better total cost of ownership. No need to press hard to get a close shave; the weight of the razor will do that for you. With responsive butterfly doors, swapping blades is fast and cleanup is easy. Knurling is deep and smooth. Knurling is a pattern of straight, angled or crossed lines rolled into the material for decorative purposes. Shaves are closer and last longer – nearly a day – than shaving with a disposable razor. The butterfly doors would not completely close, which affected the razor usage. Limited ways in which you can shave: up and down only, for example, rather than side-to-side. Professional reviewers make some of same points, in particular about the quality of the build and how easily the razor seems to chip. They note the occasional trouble users have closing the butterfly doors after a period and agree that the razor can deliver a rather aggressive shave. They like the price point, though, and say that for its price the 96R is a good deal. They like the weight of the razor and the ease with which one can get a good shave after some practice. Reviewers also like the diversity of models Parker Safety Razor offers. When it comes to safety razors, quality often matches price point, which is to say at a mid-level price Parker Safety Razor provides a mid-level shave: close, but maybe not as close as higher-end shavers do. Then again, safety razors by a company like Truefitt & Hill are not really in the same category as Parker Safety Razor. While the Truefitt is of higher quality and better engineering, its steeper price, with many models around $130, doesn’t make it a true competitor. Competitors like Vikings Blade and Merkur deliver comparable safety razors. 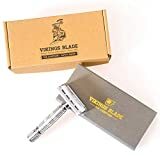 While some offer features not available on Parker Safety Razor instruments, such as Vikings Blade’s microcomb system to help prevent cuts, overall Parker Safety Razor shavers can compete with the best in its price range. Before making any decision about which safety razor is best, shavers, both male and female, need to understand how to wet-shave properly. A novice shave can result in cuts, sometimes deep, that are more a fault of the user than the blade. Here are a few quick tips you can use before you decide whether to keep or return any safety razor you decide to buy. When you first decide to use a safety razor you will start to hear the term “wet shaving” more and more often. Don’t let the term throw you. Wet shaving is merely the process of using shaving cream or soap lathered up on your wet face while shaving. The shaving cream adds a layer of protection and helps lubricate the face, making the razor slide over the skin with less friction. Besides a safety razor, most shavers add a shaving brush and shaving lather to the mix. The shaving brush, which looks like a short, round paintbrush, helps lather the shaving cream or soap and provides a bit of exfoliation when applied to the skin. This also reduces overall skin irritation, limiting the amount of razor burn you might encounter. Add a bottle of aftershave to the mix as well. 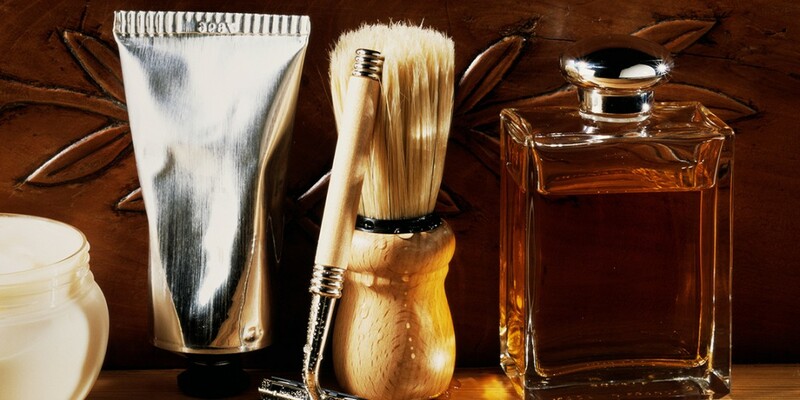 Aftershave helps cool the face and introduces moisture back into the skin. 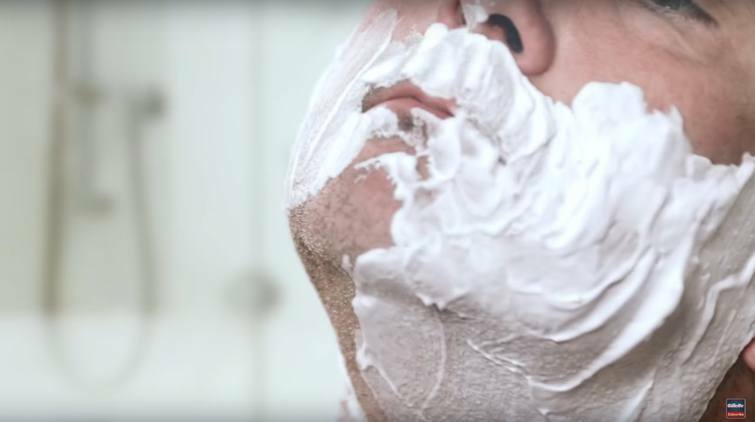 Men often make one key mistake when shaving: They do not prep their faces. Proper preparation goes beyond splashing warm water on your cheeks. Start by washing your face thoroughly to minimize oils and other shaving irritants. Then use a warm towel to soften facial hair. This step requires more than squirting out a handful of aerosol shaving cream. To do it right in a classical sense, you want to use your shaving brush and shaving soap. Most experts suggest applying the lather with a light, circular motion, followed by a bit of a crisscross pattern. This ensures overall coverage and helps exfoliate the face. You can apply shaving cream with your hands, but you should use a brush afterward to bring the lather to a froth. You can use less shaving cream initially with a brush as well, since it will help accelerate the lather. Proper angle is key here. If you are used to disposable and cartridge razors, your inclination may be to jump right in. Remember that a safety razor can be aggressive, and jumping right in might lead to nicks and cuts. Instead, start with the blade at a 90-degree angle to your face. Then drop the razor handle down to a 35- to 45-degree angle. Do this with each glide on both the sides of your face and your neck area. Avoid applying pressure to the razor when shaving. Many beginners make this mistake. Because you are used to disposable razors which call for a bit of pressure because of their lightweight casing, doing the same with a safety razor will be your first instinct. Unfortunately, this is the best way to be cut. Allow the weight of the razor to do the work, and move slowly at first. Shave with your beard’s grain. Don’t shave against it. This is another way many novices first nick themselves. Once you have a handle on shaving with the grain, you can go against it. Sensitive areas always call for shaving with the grain, however. The proper shave does not end with a splash of water and towel rub. However, it does start with that. Once you finish shaving, rinse the shaved area with cold water. Cold water will close your skin’s pores, keeping them protected from contaminants like dust and dirt as well as bacteria that may live on the blade. Rather than rub your face with a towel, pat it dry. This helps keep the face clean. You can then apply a bit of aftershave to restore your skin’s natural moisturizers. If you suffered a nick or cut during the shave, applying a cold washcloth should help both stop the bleeding and alleviate any pain. Also, remember the purpose of a good aftershave is more than adding a fresh scent to your skin. It has a real job to do. Aftershave acts as an astringent. It clears lingering bacteria from your face and out of your pores and then closes the pores even further than the initial post-shave blast of cold water. Aftershave does not have to burn, either. If you grew up with a father who used aftershave, you may remember when you first started shaving and decided to give your face a splash of your dad’s favorite brand. It likely stung like crazy. This is because it contained alcohol. A good aftershave does not need alcohol. To avoid the burn, try witch hazel or any number of alcohol-free brands available today. By all accounts, Parker Safety Razors are a great introduction to wet shaving. They offer a wide selection of butterfly-style and three-piece razors at reasonable prices. Parker’s models are stylish and carry a good weight. Before buying, however, remember you get what you paid for. A number of customers found their razors chipped easily or lost their tight close around the blade after a relatively short period. 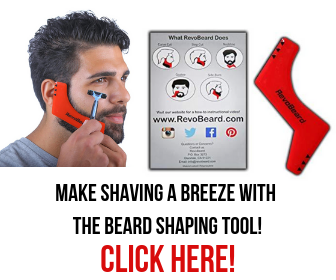 For a little bit more, you might be able to purchase a better razor. Next story Electric Shaver VS Razor: Which Shaving Method Is Better? Previous story What Makes The Philips Norelco Shaver 9800 Unique?